Most health insurers will cover the cost of a sleep apnea sleep study. However, if you are looking for a free overnight sleep study (polysomnography), you might be able to find one if you are willing to investigate a few possible sources. There aren't any nationwide free studies available, so it may require some legwork on your part to find one. Note that even for a free study, you will need a doctor's referral. In the absence of access to a published list of free sleep apnea sleep studies, the best you can do is to contact sleep centers in your area. These entities are unlikely to have information about their free services online. Call and speak with the manager or coordinator of the sleep center and explain your need for a free sleep study. Be willing to explain your circumstances and plead your case. Be available to go in person, if necessary, to proceed to the next step of getting a free study. Through federal funds or private grants, these healthcare services often provide a variety of free medical care and testing for uninsured, underinsured, low income, or unemployed people. There may be grant funds specifically designated to help people get a sleep study done. You can search for accredited sleep centers near you on the American Academy for Sleep Medicine's (AASM) website. According to the American Sleep Apnea Association (ASAA), while some sleep centers get accreditation from the AASM, not all qualified ones choose to do this. Therefore, some qualified sleep centers appear on the AASM's site. Check with your doctor for other reputable sites. The following selection of sleep centers are associated with well-known health-care systems and hospitals or are other accredited centers with several area locations. You will find their contact information on their websites. Look for similar quality major sleep centers in your area who can either offer you sleep study for free or who might have links to other centers that provide free studies. Harvard Medical School's Division of Sleep Medicine in Boston, Massachusetts has several top-notch sleep disorders programs in their affiliated teaching hospitals, which includes the renowned sleep center at Brigham and Women's Hospital. Johns Hopkins Medicine Sleep Disorders Center is located in Baltimore, Maryland. New York-Presbyterian/Weill Cornell's Center for Sleep Medicine is also a leading center for sleep disorders. The Cleveland Clinic's Sleep Disorder's Center is based in Cleveland, Ohio but has hospitals in other cities in Ohio as well as in other states. The University of California Los Angeles (UCLA) Sleep Disorders Center is located in Los Angeles, California. Emory Healthcare Sleep Center is located in Atlanta, Georgia. University of Miami Health Systems in Miami, Florida has two Sleep Center locations. The Sleep Wellness Institute Inc, located in Milwaukie, Wisconsin, is a free-standing company accredited by the AASM which provides services for sleep disorders in several Wisconsin communities. The Center for Sleep Medicine has six accredited sleep centers in the Chicago area. Your chances of getting a free study might be greater with a hospital-based sleep center than a free-standing unit. They are more likely to have government, grant, or research funds that enable them to provide a certain amount of free care. Call your community health center and make an appointment to see a primary care doctor or an alternate level provider for a preliminary medical evaluation. Once you are in the system, you are more likely to get a referral to access free specialty services, such as a sleep study, if you meet any qualifications they might have. Community health centers are usually established through federal and state funds and often provide free or low cost care for the needy. Search the Health Services and Resources Administration (HRSA) website to locate your local health center. Look on the website of the major teaching or research hospitals in your area to see if they are running any sleep studies and need participants. Call the sleep center if you can't contact them online to see if they have a current study you qualify for. Most of the time, you will get paid to participate in a clinical trial, which is a bonus. You can search on a U. S. National Institutes of Health website, ClinicalTrials.gov, for clinical trials in your area or region. Sometimes a study group might place an ad for participants in your college or local newspaper. If you are unable to get a free overnight sleep apnea sleep study, consider other options that might help you get a sleep study done. Look online or in your phone book for the contact information for your state or city's Department of Health. You may be able to apply for benefits online or, better yet, visit in person. You might qualify for a list of benefits, including health insurance, if you meet certain income guidelines. Once you qualify in the system for health, you should be able to get coverage for a doctor-recommended sleep study and any equipment you need. Incidentally, the American Sleep Apnea Association has a program to provide free CPAP equipment if you are diagnosed with obstructive sleep apnea. Talk to your doctor to see if a home sleep apnea test is enough to diagnose your problem. A home sleep study costs $150 to $500, according to the American Sleep Association. This is much less than the $1,000 to $3,800 cost of a full overnight sleep center study. A home study, however, only measures a few signs, such as air movement. 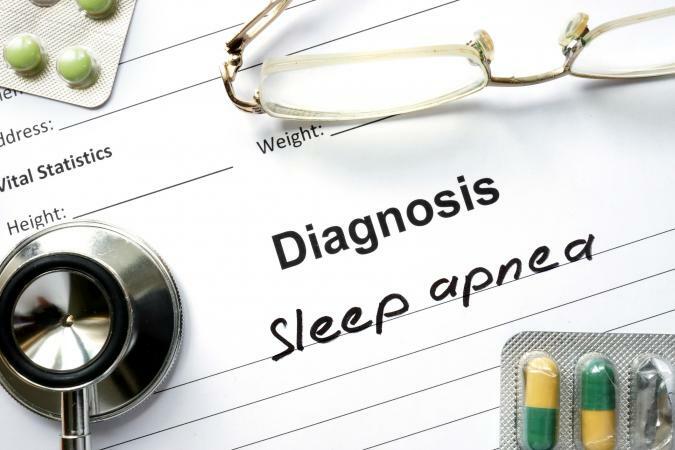 It might be a sufficient test if your pre-test evaluation shows a strong possibility of obstructive sleep apnea only. If you have another potential causes for your sleep apnea, you need an overnight sleep study. Many sleep centers will often discount the price of a study if you are not covered by insurance so be sure to ask for this option. This might make the study more affordable to you. Some sleep centers will give an even bigger discount if you can pay in cash. Be sure to ask if the center offers a payment plan so you don't have to pay everything upfront. Note that a sleep study in a hospital-based sleep center will likely cost more than if you have one done in a free-standing unit. You will not find a ready list of sleep centers offering free sleep apnea sleep studies. However, if you are willing to spend time investigating and do the work, you might be able to get your study done for free or at the least for a discounted price.